Venom OG, also known as “Venom OG Kush,” is an evenly balanced hybrid (50% indica/50% sativa) strain created through crossing the heavy Poison OG X Rare Dankness #1 strains. Don’t let the name fool you – the only poison coming from this strain will be to kill your aches and pains. 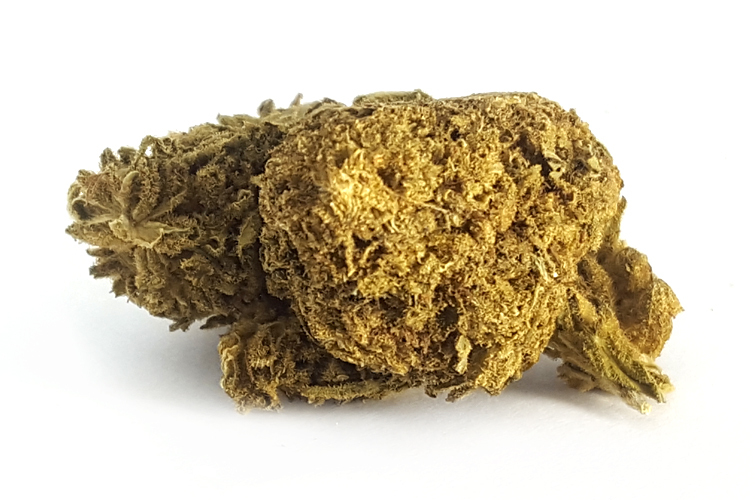 The Venom OG high is incredibly relaxing and sedative in nature, with euphoric effects that are more calming than energizing. You’ll feel a rush of happiness first that lifts your spirits and leaves your head feeling heavy and stoney. As you fall into sleepiness and complete bliss, your body will be washed over with a warming wave of lightly buzzing tingles, easing you into a calm state of utter relaxation. In combination with its powerful 18-23% average THC level, these heavy-hitting effects give Venom OG an edge in treating conditions such as arthritis, chronic pain, insomnia, and muscle spasms or cramps. It has a sharp skunky diesel smell and flavor that’s accented by sweet yet sour earthy lemon. Venom OG buds have super dense forest green nugs with bright orange hairs that are coated in tiny bright amber crystal trichomes.